Byron Philip Jones was born in New Britain, Connecticut on September 26, 1992. Jones is a versatile defensive back who has played both cornerback and safety in the NFL. 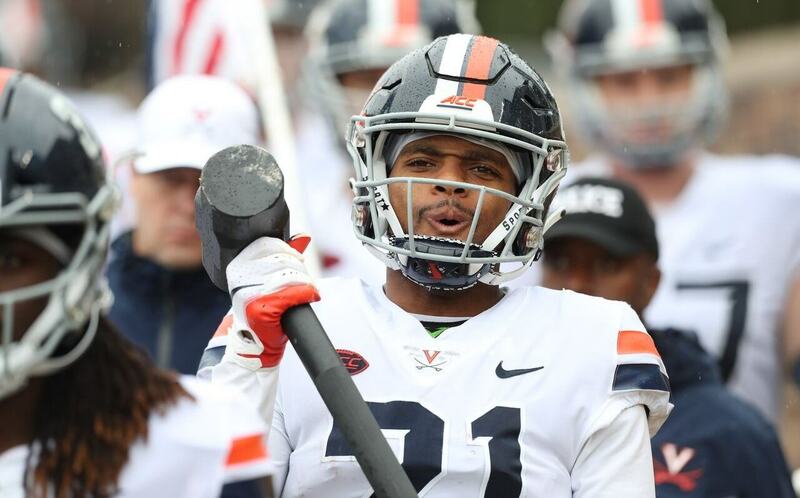 He played collegiately at the University of Connecticut before being drafted by the Dallas Cowboys in the first round of the 2015 NFL Draft. Byron Jones put together quite an impressive resume during his high school career and excelled in several different sports. While attending St. Paul Catholic High School in Bristol, Connecticut, Jones played basketball, football, and competed in track and field. Jones was one of the state’s top performers in the 200-meter and 400-meter. At the 2010 NVL Outdoor Track and Field Championships, Jones earned first place in both the 200-meter and 400-meter with times of 22.13 seconds and 48.43 seconds, respectively. It was on the football field where Byron really made his mark in high school. Jones was named to the Class MM All-State team by the Connecticut High School Coaches Association and First Team All-Naugatuck Valley as a senior. He was also named team captain as a senior and helped his team advance to the MM state playoffs. 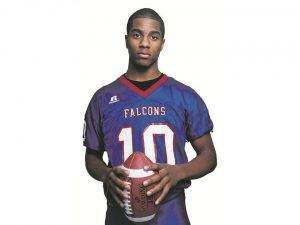 Coming out of high school, Byron Jones was considered a two-star recruit by Rivals.com and ended up accepting a football scholarship from the University of Connecticut. 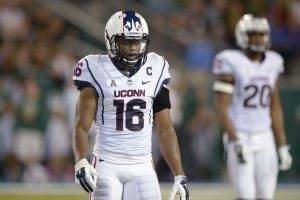 Byron Jones made 37 starts in 43 career games at safety and cornerback for the Huskies during his collegiate career. Jones red-shirted in 2010, but still was awarded the Special Teams Scout Player of the Week before the Syracuse game on November 20, 2010. In the 2011 season, Byron Jones started a total of eight games and six of the final seven games of the season. 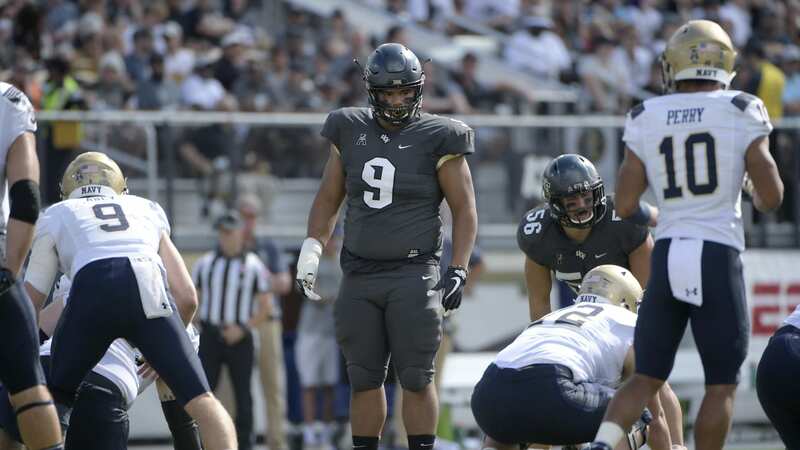 He ended up sixth on the team in tackles with 51 and had a fumble recovery that he returned for a touchdown against USF, in which he earned the honors of being named BIG EAST Conference Defensive Player of the Week. Jones started all 12 games at safety in 2012 and was the third leading tackler on the team with 88 tackles. Jones had one interception in the 2012 season and his best game came against Temple when he had a career-high 13 tackles. In 2013, he started all 12 games at cornerback after converting from the safety position. 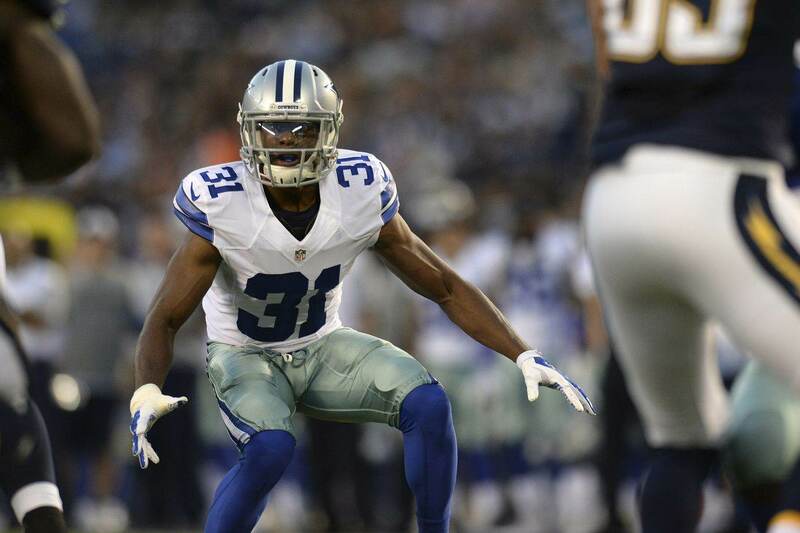 Byron Jones ended up finishing fourth on the team with 60 tackles and had a team-high three interceptions. He was also named to the 2013 American Athletic Conference All-Academic team. 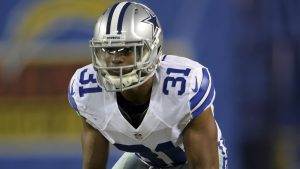 As a senior in 2014, Byron Jones started the first seven games of the season at cornerback before a season-ending shoulder injury cut his year short. Before his season was cut short, Jones recorded 24 tackles, two interceptions, and four pass breakups. One of his interceptions he returned 70 yards for a touchdown against USF. 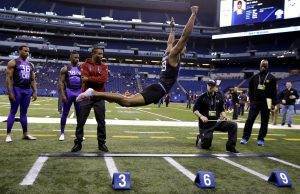 Byron Jones took full advantage of his opportunity to compete at the 2015 NFL Scouting Combine. He set the world on fire by being a top performer in nearly every event, despite still recovering from a shoulder injury that caused him to miss the final six games of his senior season. Jones was a top performer in the vertical jump (44.5 inches), the 3 cone drill (6.78 seconds), 20 yard shuffle (3.94 seconds), and 60 yard shuffle (10.98 seconds); but it was the broad jump that really caught everyone’s attention. Jones set the unofficial world record for the broad jump – or standing long jump – by jumping 12’3”. It was Jones’ performance at the NFL Scouting Combine that caused a lot of so-called draft experts to have to go back and review his college game tape in order to get a better idea of exactly the type of football player he was. Was he just a workout wonder or was he truly a physically gifted athletic football player? Byron Jones was arguably one of the most talked about draft prospects entering the 2015 NFL Draft after the show he put on at the NFL Scouting Combine. Many draft analysts had Jones slotted anywhere from a late first-round draft pick to an early second round draft pick. The Dallas Cowboys decided to use their 27th pick overall to draft the versatile defensive back out of the University of Connecticut, despite defensive end Randy Gregory still on the board, who a lot of people considered a top 10 talent. Luckily for the Cowboys though, Gregory was still available on the second round and the organization didn’t hesitate to write his name on a draft card and make him a member of the Dallas Cowboys. Byron Jones’ versatility to play several different positions in the Cowboys secondary was something they simply couldn’t pass up and was ultimately the deciding factor to make him a member of the organization for years to come. Byron Jones had a lot thrown at him his first year in the NFL, and he performed admirably for the Dallas Cowboys defense. The attribute that convinced the Cowboys into drafting Jones in the first place was his versatility and that versatility was on full display throughout his rookie season. Defensive coordinator Rod Marinelli had Jones play nearly every position in the secondary. Byron Jones played as an outside cornerback, in the slot, safety, and even a little dime linebacker when the Cowboys defense was in the nickel package. The Cowboys couldn’t have been more pleased with Jones’ performance in his first year. He made 11 starts in the Cowboys secondary in 2015, but the majority of the starts came at the safety position (7). He was credited with 66 tackles and nine pass deflections, but failed to record an interception. Jones did, however, have his rookie mistakes and his first game to start at cornerback for an injured Morris Claiborne against the Miami Dolphins provided evidence enough. He gave up a 47-yard touchdown pass to Jarvis Landry and a 29-yard touchdown pass to Kenny Stills before he left the game with an ankle injury. Byron Jones rebounded in his second start at cornerback against the Carolina Panthers when he made two key goal line plays to prevent a touchdown before the half ended. 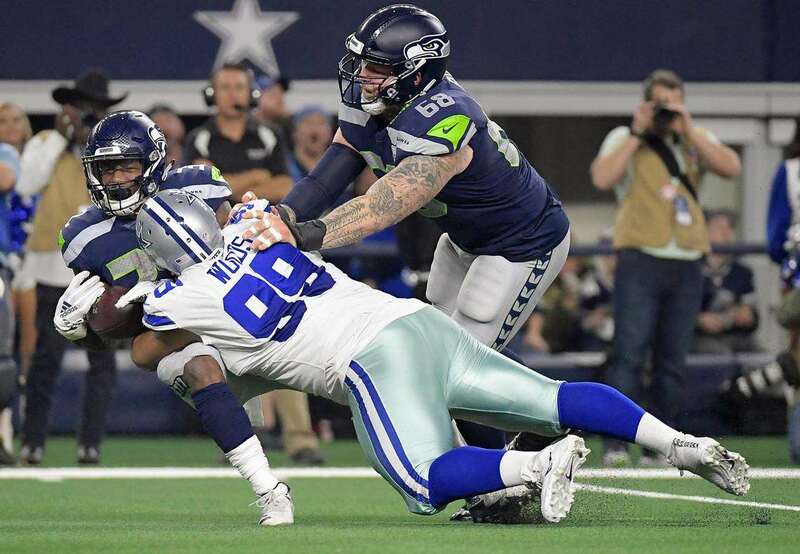 Jones remained relatively healthy throughout his rookie season, but he did have a scary moment against the New York Jets when he suffered a dislocated knee while tackling wide receiver Quincy Enunwa. Fortunately, he was able to pop it back in and finish the ball game, playing 71 total snaps. The Dallas Cowboys are expecting big things from him in 2016 as their starting free safety. The total value of Byron Jones’ rookie contract is $8,601,938. Jones will make an average of $2,150,485 per season and is fully guaranteed $6,993,947. This makes Jones the 63rd highest paid cornerback in the NFL. Jones is entering the second year of his rookie contract and will have a cap hit of $1,954,986 in 2016, $2,345,983 in 2017, and $2,736,980 in 2018. The Dallas Cowboys will then have to decide if they want to offer him a long-term contract or pick up his fifth year option.